[His] position as one of the greats in Western metaphysics comes from works he published late in life, including Critique of Pure Reason (1781) and The Fundamental Principles of the Metaphysics of Ethics (1785). He grew up in Koenigsberg and never really left home, spending most of his professional life attached to the university there as a lecturer on philosophy. His lectures made him internationally famous, and he followed an outstanding academic career with published works that became standards in Western philosophy. Kant, influenced by the works of David Hume, held that we could only know what we experience, what he called the phenomenal, and that we could never know that which is beyond experience, what he called the noumenal. In doing so, Kant ruled out the possibility of our demonstrable knowledge of God, without ruling out the existence of God. But he also argued for an absolute morality based on free will and rationality, referred to as the categorical imperative: "Act as if the maxim from which you act were to become through your will a universal law." His brilliant, sometimes impenetrable arguments about the limits of human understanding are part of the canon of Western thought . . . . Kant's belief that our understanding of objects would always be skewed by our limited capacity to understand can be seen in his famous quote: "Out of the crooked timber of humanity no straight thing can ever be made." 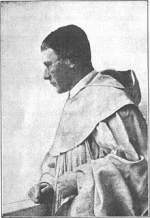 Adolf Hitler—two days old—is baptized by Father Ignaz Probst, who writes the name as 'Adolfus' on the certificate. Note: Hitler will officially be a Catholic throughout his life as, though he will rarely attend a service after leaving his mother's home, he will never publicly renounce the Church, nor will he ever be excommunicated. Oppenheimer was an unusual personality: intensely brainy and ambitious and yet distinctly philosophical, with a facility for languages and an interest in Eastern religions and philosophy. In the 1930s he taught physics at both Caltech and the University of California at Berkeley, before being chosen to lead the Manhattan Project's team of scientists. The first atomic bomb was exploded on 16 July 1945, and less than a month later President Harry S. Truman ordered two bombs dropped on Japan, ending World War II. After the war, Oppenheimer became head of the General Advisory Committee of the U.S. Atomic Energy Commission. As such, in 1949 he recommended against the development of the super-powerful hydrogen bomb, pitting him against fellow physicist and H-bomb proponent Edward Teller. In 1953, during the era of intense anti-communism fomented by Senator Joseph McCarthy, Oppenheimer was accused of being a communist sympathizer, based on his support of various pro-communist and left-wing groups during the years before and during WWII. His security clearance was revoked, despite formal hearings in 1954 in which many fellow scientists testified on Oppenheimer's behalf. The incident cast a shadow over his career, although in 1963 he was nonetheless given the Enrico Fermi award for "outstanding contributions to theoretical physics" by the Atomic Energy Commission. From 1947-1966 Oppenheimer also was the director of the Institute of Advanced Studies at Princeton, the longtime home of Albert Einstein . . . .
Oppenheimer remarked that when seeing the first text explosion of the atomic bomb he was reminded of a passage from the Hindu sacred text the Bhagavad Gita: "I am become death, destroyer of worlds" . . . .
1912 Pravda: the official propaganda organ of the Communist Party of the Soviet Union, begins publication in Saint Petersburg. German forces shock Allied soldiers along the Western Front by firing more than 150 tons of lethal chlorine gas against two French colonial divisions at Ypres in Belgium. Toxic smoke had been used occasionally in warfare since ancient times, and in 1912, the French used small amounts of tear gas in police operations. 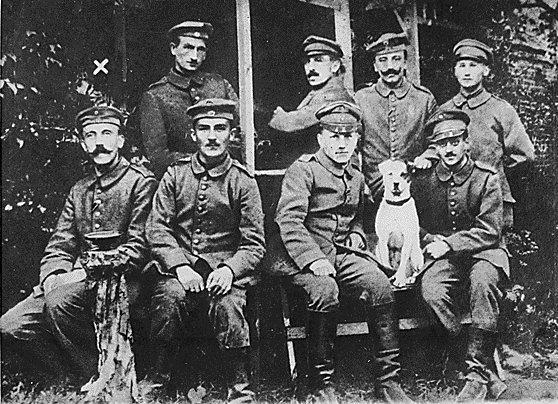 At the outbreak of World War I, however, the Germans began to actively develop chemical weapons. In October 1914, small tear-gas canisters were placed in shells that were fired at Neuve Chapelle, France, but Allied troops were not exposed. In January 1915, the Germans fired shells loaded with xylyl bromide, a more lethal gas, at Russian troops at Bolimov on the Eastern Front. Because of the wintry cold, most of the gas froze, but the Russians nonetheless reported more than 1,000 killed as a result of the new weapon. 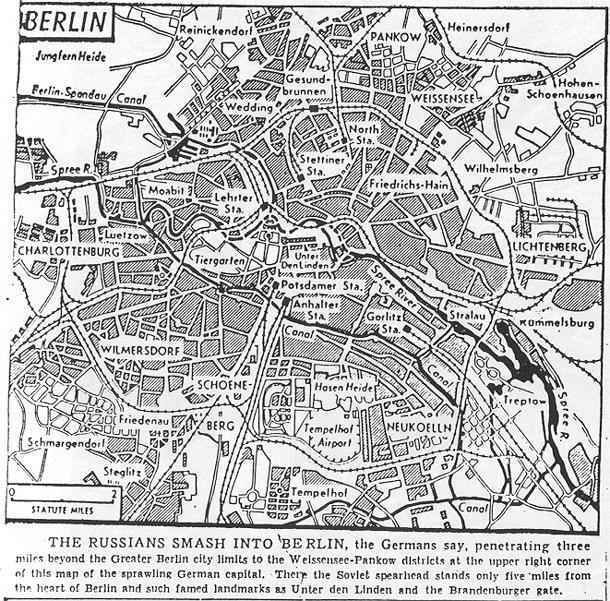 On April 22, 1915, the Germans launched their first and only offensive of the year. Now referred to as the Second Battle of Ypres, the offensive began with the usual artillery bombardment of the enemy's line. When the shelling died down, the Allied defenders waited for the first wave of German attack troops but instead were thrown into panic when chlorine gas wafted across no-man's land and down into their trenches. The Germans targeted four miles of the front with the wind-blown poison gas, decimating two divisions of French and Algerian colonial troops. The Germans, perhaps as shocked as the Allies by the devastating effects of the poison gas, failed to take full advantage, and the Allies managed to hold most of their positions. A second gas attack, against a Canadian division, on April 24, pushed the Allies further back, and, by May, they had retreated to the town of Ypres. The Second Battle of Ypres ended on May 25, with insignificant gains for the Germans. The introduction of poison gas, however, would have great significance in World War I. Immediately after the German gas attack at Ypres, the French and British began developing their own chemical weapons and gas masks. With the Germans taking the lead, an extensive number of projectiles filled with deadly substances polluted the trenches during the next several years of war. Mustard gas, introduced by the Germans in 1917, blistered the skin, eyes and lungs, and killed thousands. Military strategists defended the use of poison gas by saying it reduced the enemy's ability to respond and thus saved lives in offensives. In reality, defenses against poison gas usually kept pace with offensive developments, and both sides employed sophisticated gas masks and protective clothing that eventually negated the strategic importance of chemical weapons. The attitude of England makes the provisioning of the population more and more difficult. In order to relieve the distress, the German Government has recently asked for volunteers to go to work in the country. This offer has not had the success anticipated. Consequently, the inhabitants will be evacuated by order and removed to the country. The evacuated persons will be sent to the interior of the occupied French territory, far behind the front. Menuhin was born in New York [to Moshe and Maratha Menuhin, Jewish immigrants from Russia, who had met in Palestine] but [the family] moved to San Francisco when he was nine months old. Moshe Menuhin supported his family by teaching Hebrew. Maratha Menuhin . . . . and her husband taught Menuhin and his two younger sisters, Hephzibah and Yaltah, at home. Menuhin first demonstrated his interest in music at the age of two, when he accompanied his parents to a San Francisco Symphony Orchestra concert. The toddler listened intently to the music without making a sound. When he was five, he began taking violin lessons . . . . Six months later, he made his first public appearance at Anker's studio. In 1923, Menuhin began studying with Louis Persinger, concertmaster of the San Francisco Symphony Orchestra. He gave a solo performance with the symphony at the age of eight. When Persinger moved to New York in 1925, Menuhin followed him, making his debut at the Manhattan Opera House the following year. A wealthy San Francisco attorney, Sidney Behrman, became Menuhin's patron. He underwrote the family's expenses for a trip to Europe so that Menuhin could pursue his musical career. Menuhin was soon recognized throughout Europe as a virtuoso performer. He made his debut in Paris and Brussels in 1927 and in Berlin and London in 1929. After a 1929 concert in Berlin, Albert Einstein went backstage, kissed the 13-year-old prodigy and said, "Today Yehudi, you have once again proved to me that there is a God in heaven," The New York Times reported. . . . . The 1940s was a stressful decade for Menuhin, who had to cope with a failing marriage and the dangers of war. He gave more than 500 concerts for American and Allied troops, often in combat zones. After the war, Menuhin performed in displaced person camps and visited concentration camps soon after their liberation. He held concerts in the recently liberated cities of Brussels, Bucharest and Budapest . . . . It was during this time that Menuhin's political beliefs first drew attention. Jewish groups did not approve of his performance with the Berlin Philharmonic Orchestra under Wilhelm Furtwangler soon after the Second World War. Much criticism was leveled at Furtwangler, who had remained in Germany and prospered during the war. Menuhin countered that Furtwangler had never joined the Nazi Party and had helped Jewish musicians. In 1949, Furtwangler was being considered for the position of music director of the Chicago Symphony Orchestra. Many musicians said they would never play with the orchestra if Furtwangler got the position. Menuhin continued to support his friend. In 1950, when he made his first tour of Israel, many Jews denounced him for his 1947 Berlin appearance. Menuhin drew further criticism in 1967, when he played benefit concerts for Israeli organizations as well as Arab refugees following the Six-Day War in the Middle East. Although Menuhin was recognized as a gifted musician in Israel, his reputation remained clouded . . . .
Menuhin was an American by birth, but lived in Europe most of his life. He became a British subject in 1985 (while retaining his American citizenship). Menuhin was given an honorary knighthood in 1966 and was made a life peer in 1993 with the title Lord Menuhin of Stoke d'Abernon. In addition to his home in Britain, Menuhin also kept his family's Los Gatos, California home and maintained homes in Switzerland and the Greek island of Mykonos . . . .
Menuhin's interests outside music were broad. He was known as an environmentalist and practitioner of yoga. He was introduced to yoga in the 1950s and studied with B.K.S. Iyengar, a noted guru. Menuhin's daily regimen included 15 to 20 minutes of standing on his head. He also used yoga to relax before concerts. Menuhin advocated a vegetarian diet and warned of the dangers of eating white rice, white bread, and refined sugar. Menuhin's diverse musical interests were demonstrated in his work. He recorded jazz albums with Stephane Grappelli and Eastern music with the noted Indian sitarist, Ravi Shankar. Menuhin admired the Beatles. In 1979, Menuhin and Curtis W. Davis wrote The Music of Man, an international study of music, from ancient times to punk rock. Menuhin continued to conduct until his death from heart failure on March 12, 1999 in Berlin. He is remembered as a child prodigy whose musical talent spanned some 70 years. As a humanitarian, Menuhin supported hundreds of cultural and charitable organizations. Throughout his life, he maintained a vision of a utopian future. The troops of all the German tribes under your command, with steel-hard determination and strongly led, have brought to failure the great French attempt to break through on the Aisne and in Champagne. Also there the infantry again had to bear the brunt, and, thanks to the indefatigable assistance of the artillery and other arms, has accomplished great things in death-defying perseverance and irresistible attack. Convey my thanks and those of the Fatherland to the leaders and men. The battle on the Aisne and in Champagne is not yet over, but all who fight and bleed there shall know that the whole of Germany will remember their deeds, and is at one with them to carry through the fight for existence to a victorious end. 1919 Volkishness: Lanz von Liebenfels, now living in Budapest, is nearly executed this Easter Sunday by a Communist firing-squad during the Hungarian revolution. (See also: 1954, below.) It seems significant that his linking of anti-Semitism and anti-Bolshevism date from this period. Why was there this fear of Communism in so much of Germany society though? . . . . After the collapse of Germany in the First World War, the Communists and Socialists, were blamed for undermining the German state in its hour of need. 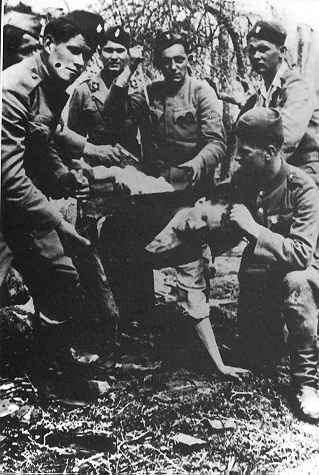 This created amongst many nationalist and conservative groups the idea of the Novemberverbrecher. This idea was of course helped by past images of Communism as an evil, destabilizing influence. The role of Communism in Germany's defeat was thus emphasized by many nationalist groups, particularly the Nazis, who used the past to warn about the future. They also now had the example of the Russian revolution to use. This added more weight to their argument, which in turn caused more angst amongst the people who heard and believed it. We know the Nazis, like many others, really did fear a Communist take-over, and as such the Communists became one of the major enemies of the party. The Nazis were able to utilize past conceptions, such as the Novemberverbrecher or Reichsfeinde concept, to show how Germany was being undermined from within, and that only a strong party , one with the people behind it, could fight against such an enemy. We can also see that hatred and fear of Communism were nothing new in Germany, it was merely adapted by the Nazis to suit their purposes of gaining support. It also shows how the Nazis were different from Herder and Fichte. Herder and Fichte advocated freedom of thought and action where as with the Nazis the very reverse. 1930 London Naval Treaty: The US, Britain and Japan sign the London Naval Treaty, regulating submarine warfare and limiting shipbuilding. 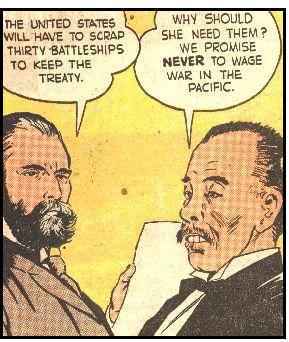 The signatories agreed to build no new capital ships until 1937. A number of existing capital ships were scrapped. No existing vessels were to be converted to aircraft carriers. The construction of submarines was limited to vessels under 2,032 metric tons. The total completed tonnage of cruisers (split into heavy cruisers with guns exceeding 6.1 inches (155mm) calibre and light cruisers with smaller guns), destroyers and submarines to be built by 1937 was limited as was the individual tonnage in each category. Article 22 relating to submarine warfare declared that international law applied to them as to surface vessels. Also merchant vessels which did not demonstrate "persistent refusal to stop" or "active resistance" could not be sunk without the ship's crew and passengers being first delivered to a "place of safety". 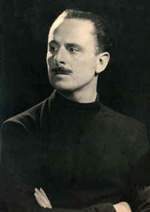 Sir Oswald Mosley: The leader of the British Union of Fascists, accuses English Jews of dual loyalty during his first public address in London. Ironically enough, he will be interned during World War II. Sudetenland: Trouble breaks out in the signaling the beginning of the Czechoslovak Crisis. 1940 Countdown to Infamy: Rear Admiral Joseph Taussig testifies before the US Senate Naval Affairs Committee that war with Japan is inevitable. Holocaust: Warsaw Ghetto Uprising: One raiding party was dispatched to invade once more the block of buildings which for the greater part had burned out or was still aflame, in order to catch those Jews who were still inside. When shooting again started from one block against the men of the Waffen-SS, this block also was set on fire, with the result that a considerable number of bandits were scared from their hideouts and shot while trying to escape. Apart for those, we caught about 180 Jews in the yards of the buildings. The main body of our units continued the cleansing action from the line where we terminated this action yesterday. This operation is still in progress. Wunderwaffen: General Adolf Galland had, along with Willy Messerschmitt, been an opponent of the development of the Me262 turbojet fighter aircraft. 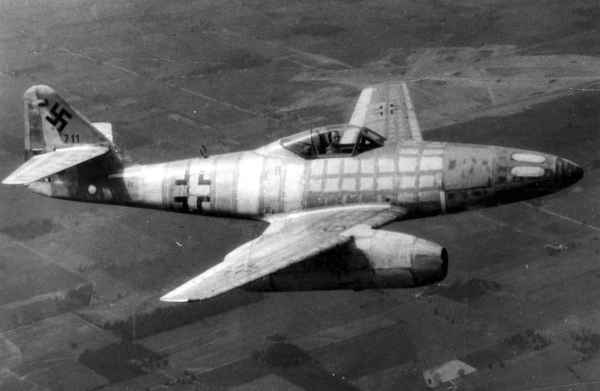 However, on this day Galland flies an Me262 and reverses his previous opinion. He now supports the aircraft unreservedly. From the summary of Messerschmitt's SBS Interview: The ME 262 had a maximum speed of 560 miles an hour at level flight, both at altitude and near the ground. Its normal speed was approximately 500 miles an hour. The individual motors supplied for this aircraft varied markedly in efficiency. Due to difficulties with workmen and machines the airframes were inferior. Professor Messerschmitt was working on a specially built 262 with which he expected to achieve a speed of 575 miles an hour. The aircraft was capable of two hours flight at 27,000 feet without belly tanks. Professor Messerschmitt believed that conventional motors and propellers were satisfactory for designs involving speeds up to 500 miles an hour. Beyond that and until the speed of sound had been achieved, he believed a turbo-jet was the best type. For speeds in excess of sound, he had no definite opinion. The Soviet Government is gratified to learn that in accordance with the Tehran agreement the sea crossing will take place at the appointed time . . . and that you will be acting at full strength. I am confident that the planned operation will be a success. I hope that the operations you are undertaking in Italy will likewise be successful. As agreed at Tehran, the Red Army will launch a new offensive at the same time so as to give maximum support to the Anglo-American operations. Please accept my thanks for the good wishes you have expressed on the occasion of the Red Army's success. I subscribe to your statement that your armies and our own, supporting each other, will defeat the Hitlerites and thus fulfil their historic mission. World War II: Click here for the April 22, 1944 issue of the Canadian newspaper supplement section of the Toronto Star Weekly, featuring many articles and pictures relating to the War. 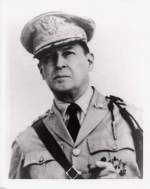 War against Japan: General MacArthur announces that Cebu Island's capture has ended the Central Philippines campaign. The war has reached a stage at which only the full efforts of the nation and of each individual can save us. The defence of our freedom no longer depends on the army fighting at the front. Each civilian, each man and woman and boy and girl must fight with unequaled fanaticism. The enemy expects that, once his tanks have broken through, they will find no resistance. He believes that we will be so disconcerted by his material superiority that we will let things take their course, without caring how they turn out. We must prove the enemy's hopes wrong. No village and no city may give in to the enemy. The enemy is strong, but not strong enough to hold all the territory of the Reich without our help. Holocaust: Fewer than 1,000 of Bosnia's 14,000 Jews are still alive at the concentration camp of Jasenovac, near Zagreb. 600 prisoners, Jews and non-Jews, rise up in revolt. 520 are killed, and only 80 escape, including 20 Jews. Farewells: Hitler calls together the female inhabitants of the Fuehrerbunker, ostensibly for an early afternoon lunch. Hitler's cook, Constanze Manzialy, serves the group strong coffee until Hitler arrives. Traudl Junge will later tell Gitta Sereny: "Constanze took the food off the burners. We had a terrible premonition, all of us at the same time . . . . Hitler looked terrible: white, thin, old . . . . We had expected it, but now that it came, we were struck dumb." As expected, Hitler tells them that the time has come for them to leave the Fuehrerbunker. Eva Braun walks over to Hitler, takes his hands in hers and tells him that she would never leave him. The well-known mass destruction bombs are nearly ready. In only a few days, with the utmost meticulous intelligence, Hitler will probably execute this fearful blow, because he will have full confidence . . . . It appears that there are three bombs—and each has an astonishing operation. The construction of each unit is fearfully complex and of a lengthy time of completion. 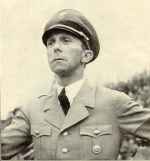 When he arrived in Hamburg the previous day, apparently so relieved to be with us, I thought that now at least he was out of Bormann's clutches—after all, Hitler had told him that night of March 29 that Bormann had told him all about Speer's 'treasonable conduct.' And now this. He said something about wanting to get Brandt out, but I thought it was a pretext. I didn't really know why he wanted to go back, but I was sure it wasn't Wagnerian dramatics . . . . Well, yes it did occur to me that perhaps he had a death wish. Anyway, I was dreadfully sure he wouldn't get back. Death: Wilhelm Cauer: German mathematician most noted for his work on the analysis and synthesis of electronic filters. Although a civilian and not a member of the Nazi Party, he is executed this day by soldiers of the Red Army of the Soviet Union after their entry into Berlin. Death: Kaethe Kollwitz: German artist whose work offered an eloquent and often searing account of the human condition in the first half of the 20th century. In 1933, after the establishment of the National-Socialist regime, the Nazi Party authorities forced her to resign her place on the faculty of the Akademie der Kunste. Her work was removed from museums. 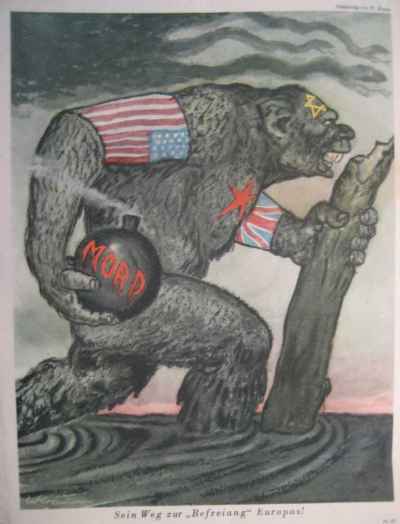 Although she was banned from exhibiting, some of her work was used by the Nazis for propaganda. In July of 1936 she and her husband were visited by the Gestapo, who threatened her with arrest and deportation to a concentration camp; they resolved to commit suicide if such a prospect became inevitable. However, Kollwitz was by now a figure of international note, and no further actions were taken. On her seventieth birthday she "received over one hundred and fifty telegrams from leading personalities of the art world", as well as offers to house her in the United States, which she declined for fear of provoking reprisals against her family. 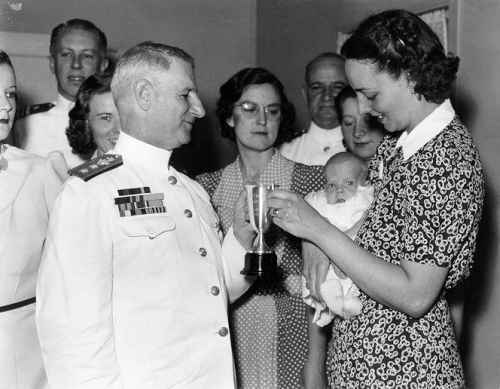 She survived her husband (who died in 1940 from an illness), and her grandson, Peter (the son of her oldest son Hans), who died in action during World War II (in 1942). She evacuated Berlin in 1943. 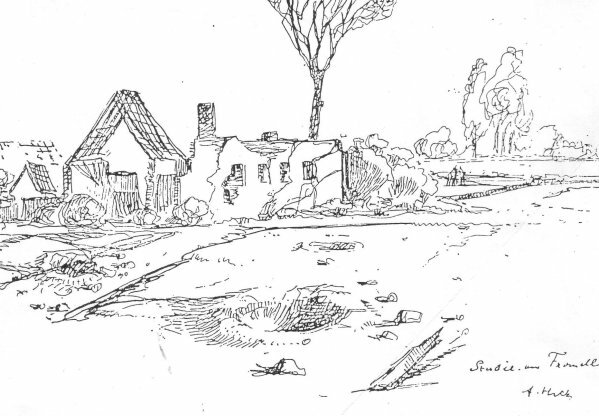 Later that year her house was bombed, and many drawings, prints, and documents were lost. 1980 Death: Fritz Strassmann: German physicist who, along with Otto Hahn, and Lisa Meitner discovered the nuclear fission of uranium in 1938. Strassman is the only German chemist honored with a tree in the Avenue of the Righteous, at the Yad Vashem Holocaust Memorial in Jerusalem. In 1933 he resigned from the Society of German Chemists when it became part of a Nazi controlled public corporation. He was blacklisted. Hahn and Meitner found an assistantship for him at half pay. Strassmann considered himself fortunate, for "despite my affinity for chemistry, I value my personal freedom so highly that to preserve it I would break stones for a living." During the war he and his wife Maria Heckter Strassmann concealed a Jewish friend in their apartment for months, putting themselves and their three year old son at risk. 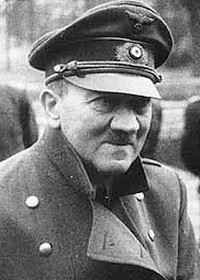 1983 Hitler Diaries: The German magazine, Der Stern claims that Adolf Hitler's diaries were found in a wreckage in East Germany.